The first meeting of Methodists in the Lansing area was in the log cabin of Joab Page in 1845. Meetings were held for the next five years, with a permanent organization, a Methodist Class, being formed in 1850. Rev. Resin Sapp was called as the first pastor. The congregation met in “God’s Barn,” a converted barn in North Lansing purchased from James Seymour in 1848, and shared with the Presbyterians. In 1949, the Methodist group separated and a Methodist Class began to meet in what was called Middle Town at the new state legislative halls. The story of the present Central United Methodist Church building begins on April 3, 1848, when the Michigan legislature passed “An Act granting to School Districts and Religious Denominations of Professing Christians, suitable grounds in the Town of (Lansing), owned by the State.” It was necessary for a church to make application within one year. The trustees of the First Methodist Episcopal Church made application on April 17, 1848, and a deed was executed by the payment of $1.00 on June 1, 1850 by the Secretary of State for Lot 6 in Block 96 as suitable and proper. The property was located on the Northwest corner of Washington and Ottawa Streets. Central Methodist Episcopal Church was an outgrowth of the First Methodist Episcopal Church, which was located in an area “around a dam located in the present North Lansing.” On January 23, 1861, Central Methodist Episcopal Church was officially organized. 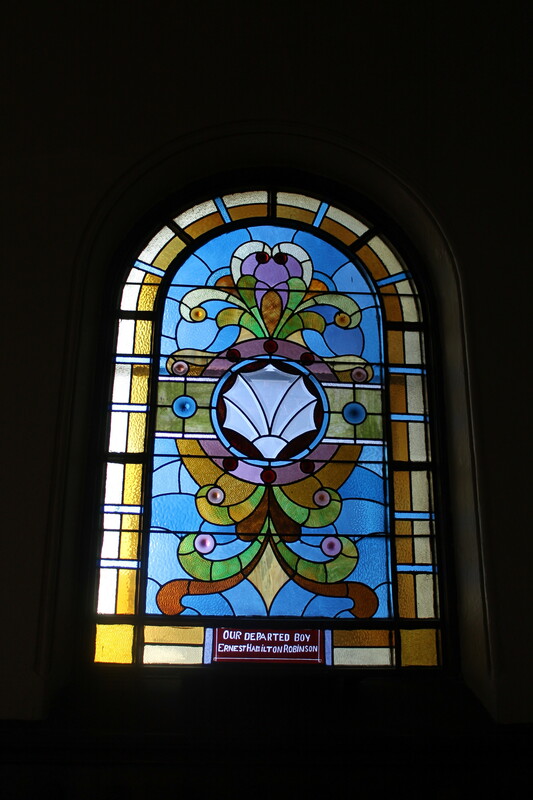 After the organization, the property deeded to the First Methodist Episcopal Church was in turn deeded to the Central Methodist Episcopal Church. On February 21, 1861, the original contract was made for a church building at a cost of $3,465. The building was dedicated on August 4, 1863. On December 2, 1871, lot 7, to the rear of the church, was bought by the Ladies Aid Society for the purpose of building a parsonage. Evidence that the church building was not large enough to meet the needs of a growing congregation is in Trustees minutes dating to 1867. On September 2, 1882, a new church lot, Lot 6 in Block 95 was purchased for $2,500. This lot is the current location on the Northwest corner of Capitol and Ottawa. The additional Lot 5 was obtained in a property swap with the Potter family. By March 20, 1888, eight designs had been submitted for the church, and the one submitted by A.B. Jennings of New York City was selected. By the time the church building was under construction, Elijah E. Myers, architect of the State Capitol building, had been chosen as architect, Israel Gillett, a member of the church, was the supervising architect, and H.W. Coddington, of Kalamazoo, was the builder. 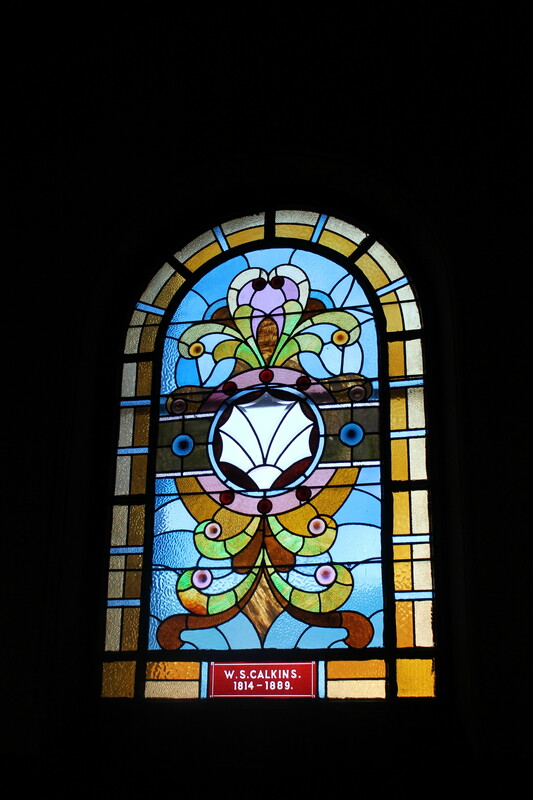 Final cost of the building was $34,030, and the total cost, including stained glass windows, furnishings and lighting was $41,842. The stone finally decided upon for the exterior was Ionia sandstone and red oak was used for the interior woodwork. 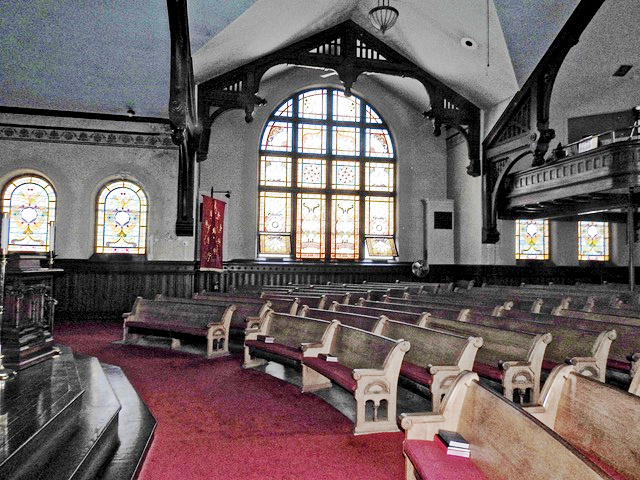 The windows, pews, woodwork and chandeliers today are the originals. The architectural style was a modified Romanesque and the size of the building was 86’ wide and 127’ long. The sanctuary ceiling was 33’ high. 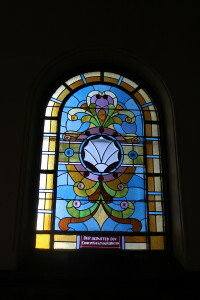 The church building contains memorial stained glass windows which were donated by members of the congregation, principally in memory of loved ones. the City Sunday School Association. On what bases a fee was charged was not specified, although it appears that if an organization had an education or religious orientation no fee was charged. The original church building contained the sanctuary, a vestibule, a classroom, a choir room and a study on the second floor. On the third floor was the gallery and a boardroom. On the first floor were five classrooms, the kitchen, the dining rooms, the library and a ladies’ reception room. The church is listed in the National Register of Historic Places by the U.S. Department of Interior and is also a registered Michigan Historic Site. In 1968, with the merger of the Methodist Church and the Evangelical United Brethren, the name of Central was changed from Central Methodist Church to Central United Methodist Church. In 1869 at the first church building, the Board approved building nine good horse sheds at a cost of $58.50. Pews were rented in the first church building at least as early as 1869, when pew rentals were from $8 to $54 annually. That year a total of $1,971 was raised against estimated expenses of $2,000. Not all pews were rented; according to a resolution passed in 1871 only two thirds of the pewswere to be rented, and every fifth pew was retained for strangers. In the new church building, the pews were numbered commencing at the “N.W. corner and proceeding from front to rear consecutively.” If a pew renter did not occupy his pew on any given Sunday by the time the first prayer was over, it was not held for him or his family. By 1898 it was found that the rental of pews was insufficient to meet expenses of the church and that rentals be supplemented by voluntary pledges and offerings. 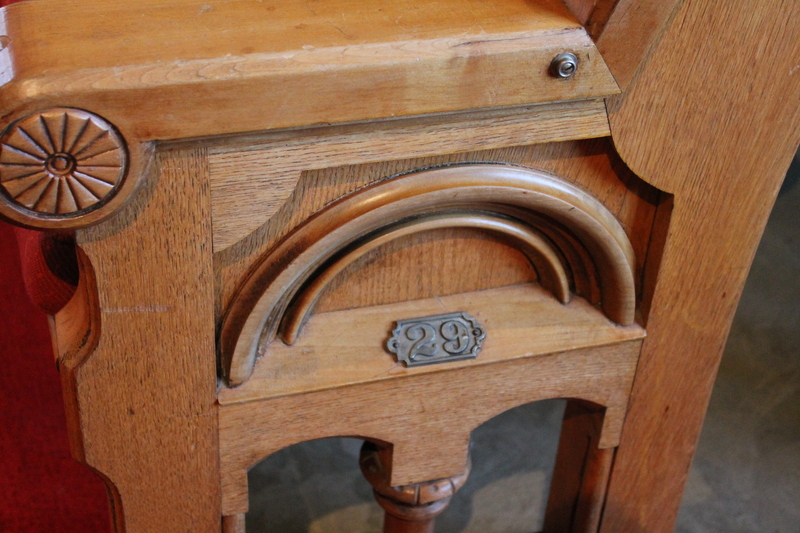 By 1902 the renting of pews was discontinued. At the First Quarterly Conference held on November 8, 1921, the pastor, Dr. C. Jeffares McCombe introduced a proposal from Richard H. Scott, church member and an official with the Reo Motor Car Company: For several years Richard and Gertrude Scott had considered the church improperly equipped to do the work that it should do in the community, that the church should be operating to render a seven day weekly service to build up the physical and social life of the people as well as deal with the spirits and morals. 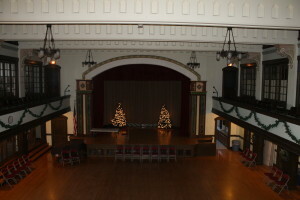 Mr. Scott then placed before the conference, plans that he and architect Lee Black had been working on for many months. He proposed building a Community House on the lot just north of the church lots, acquired from Mr. Robert Holmes. The proposal was accepted. The basement of the new community house would be used for a large banquet hall, two auxiliary dining rooms and a tea room. There was to be a janitor’s apartment of five rooms. On the main floor were to be an auditorium, offices, Sunday School rooms and a lounge. The second floor was to be devoted largely to the use of the ladies and their church activities. 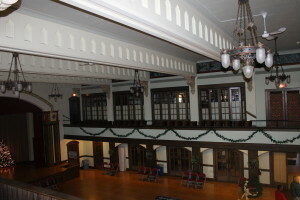 In addition, there was to be a balcony to the auditorium and classrooms. 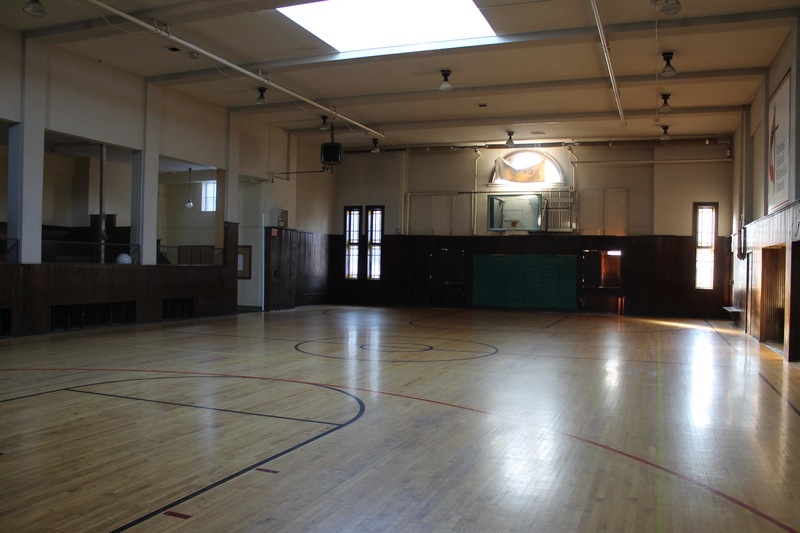 The third floor was to be for the men, including a recreation hall to be used for basketball and other sports. Also on this floor was a room for the exclusive use of the Boy Scouts. 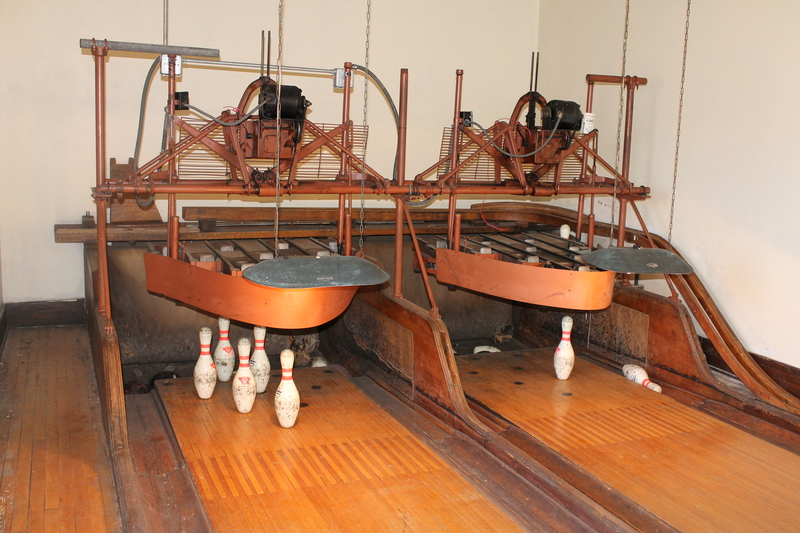 Further, there was to be a two lane bowling alley. On a smaller fourth floor there was to be a dormitory to be outfitted for young men who found themselves stranded in the city and in need of lodging. The first‐floor fellowship hall was originally fitted with movie‐style seating, but these seats were removed in the 1950s. 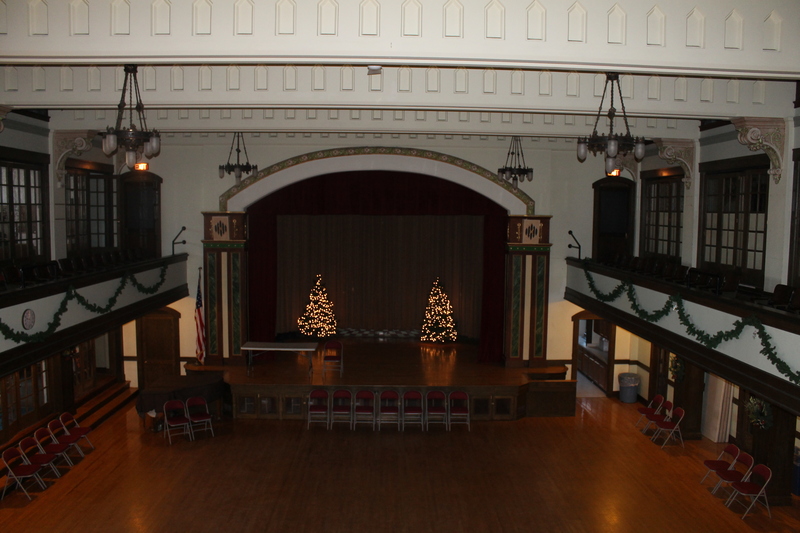 90 of the original seats are on the second‐floor balcony. The cornerstone of the Temple House was laid on Decoration Day, May 30, 1922. 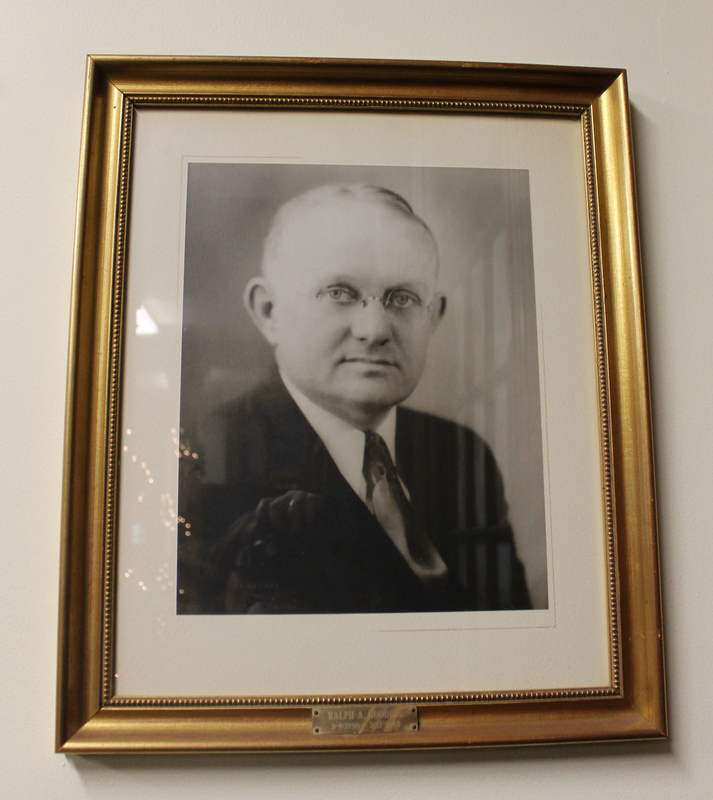 The Temple House was dedicated on May 6, 1923, with Dr. Marion LeRoy Burton, President of the University of Michigan giving the dedicatory address. The building was valued at $250,000. Three other events occurred in the early 1920’s. 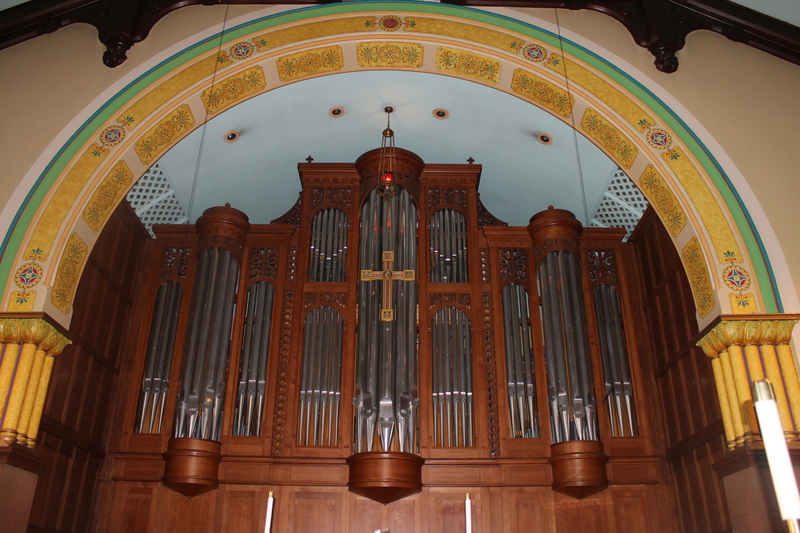 First was the purchase of a new Moeller Pipe Organ in 1921 at a cost of $15,000; a new console for the organ was later installed in 1951 at a cost of $5,000. Second was the donation of the illuminated revolving cross atop the church tower by Mr. & Mrs. Joseph H. Burton, dedicated in 1922. Third was the first radio broadcast of a service on November 9, 1924 by WREO, the Reo Motor Car Company’s radio station. In 1942, Richard and Gertrude Scott once again gave a gift to the church, a chapel in Romanesque style, dedicated to their mothers, Mary Jane Scott and Sabina Elizabeth Teel. Construction began on January 30, 1942, and the chapel was dedicated on September 3, 1942. Architects for the chapel were Lee Black and his son Kenneth. The chapel seats seventy. Symbolic decorations of the ceiling and walls are done in oil colors on canvas, the glazing and stone finish producing an effect of age, reminiscent of medieval art used in old European churches. On May 23, 1948 an anniversary program was led by pastor Dr. D. Stanley Coors. A solo, “Open the Gates of the Temple,” was sung by Mary Toy Yard, whose mother, Mrs. J.M. Toy had sung the same piece 25 years earlier at the dedication of the Temple House. 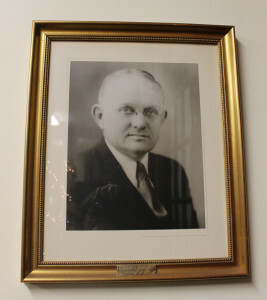 The old Central Chapel was redecorated and improved to become the Ralph Goodell Memorial Library in 1948. It was formally dedicated in 1957. There are presently more than 5,000 books and records in the library collection. The carillon, containing 36 bells, was donated by Christopher Hansen, and was dedicated on December 23, 1951. The bells range in weight from 760 lbs. to 9 lbs. The cost, including installation, was $6,000. Wendell Westcott, organist at Central UMC, and MSU carillonneur from 1947‐1985, rang the inaugural concert. 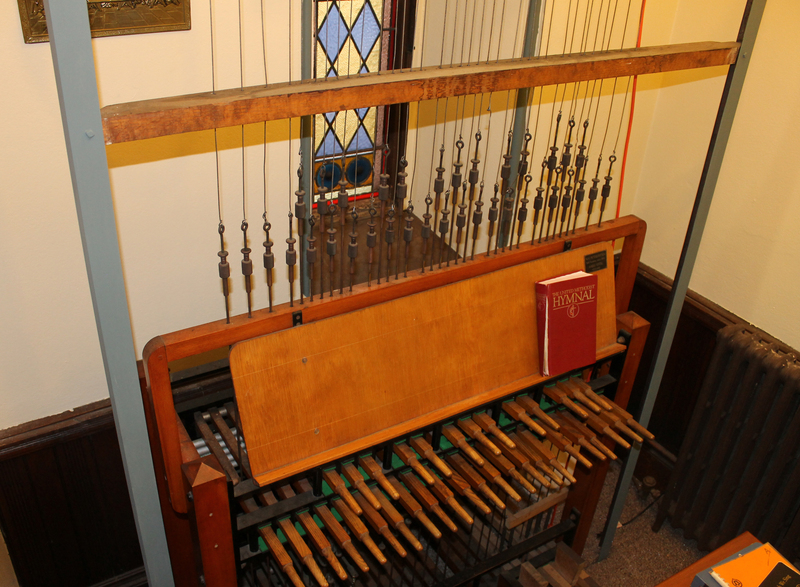 Mr. Westcott is credited for his selection of a true carillon, and not an electronic mechanism. The bells were poured at the Petit and Fritsen foundry in the Netherlands, in existence since 1660. The carillon was developed in the 15th‐16th centuries in the Netherlands, Belgium and northern France. There are over 160 carillons in the United States, with twelve in Michigan, six in churches and six in university and other settings. In 1954, architect Lee Black was asked to create preliminary blueprints and plans for a major renovation of the sanctuary front, which included rearranging the organ pipes, along with other changes in the structure and furnishing of the chancel area. The church board also considered either rebuilding the existing organ or obtaining a replacement. 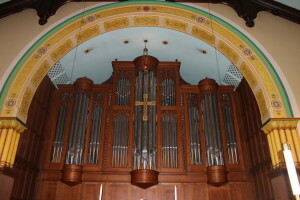 Ultimately, the Casavant Organ Company, St. Hyacinthe, Quebec, enlarged the Moller organ, retaining much of the 1920 pipework, but adding to it additional pipes. Cost of the upgrade was $35,000. The pipes, formerly arranged across the front of the chancel, were placed in chambers on the sides. The choir no longer faced forward, but was located on two sides facing the altar. Numerous other significant renovations were made to the front wall, the pulpit and lecturn, seating and communion rails. The organ had 46 stops of 48 ranks of pipes, with a total of 2,802 pipes. 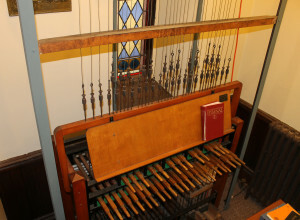 A five‐rank echo organ, which was part of the original organ configuration, was sold and is now in Aldersgate United Methodist Church in Jackson, Tennessee. A parsonage was built next to the church in 1904 at a cost of $8,000. In 1971 the church voted to demolish the parsonage, rather than preserve it. At a cost of $4,400 the parsonage was demolished and a parking lot constructed. In 1965 the Verlinden Street parsonage was purchased for the use of the senior minister. In 1974 it was determined that the acoustic ceiling tile in the sanctuary actually dampened the sound of both voice and music, and the tiles were subsequently removed. In 1976, the sound booth for the radio studio was added. 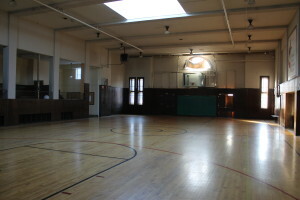 In 1979 a major renovation of the Fellowship Hall took place, with the side rooms being raised, the stage extended five feet into the room and swinging doors were installed. In 1982 a set of handbells was dedicated. The Whitechapel Handbells were cast at the world‐renowned Whitechapel Bell Foundry, founded outside London, England in 1570. 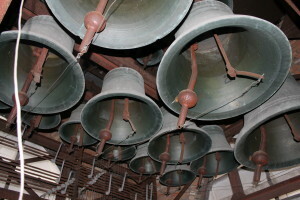 The set contains 61 bells covering five octaves. As the centennial of the church neared, the church chancel was restored somewhat to its pre‐1955 appearance. The chancel was rebuilt in 1988 with new furnishings, including new reading stands, high‐ backed chairs, a marble altar and communion rails were made removable to create a stage for various activities, and a space was designated for later installation of a new organ. In 1991 a new Jaeckel Pipe Organ was installed and dedicated. It has a tracker (mechanical) action with 30 to 50 stops. It combines a mix from medieval to modern sound to reproduce music from the Renaissance to the present. The cost of the organ was $600,000. It contains 3,168 pipes in sizes from less than one foot to 16 feet. The organ pipes were once again configured across the front, with the choir facing forward. Primary sources: “Reaching for the Peak 1889‐1989” by J. Geoffrey Moore, Ph.D., Michigan StateUniversity and “Central Centennial” by Linda Peckham, Associate Professor, Lansing Community College, Michigan History magazine, Nov/Dec 1989. Prepared by Bill Lewis, November 2013.